Great Fiat Qubo car Leasing & Contract Hire Deals. Our Fiat Qubo Lease Deals. Judged in the metal rather than on paper, this deceptively versatile little car conceals its workmanlike origins very effectively, except in areas where there'll be of benefit to its target budget-minded family audience. 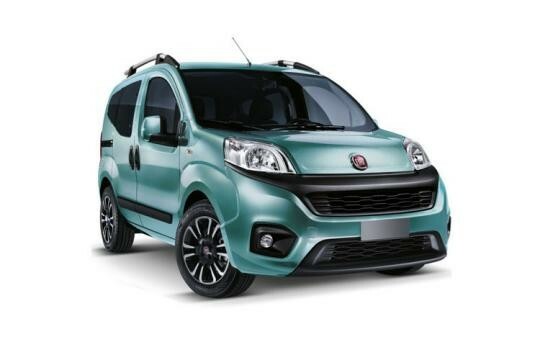 Cool by van-based MPV standards and sensibly practical by everyone else's, Fiat's Qubo may not be the car you always dreamed of owning but it may be the one your family actually needs. Is the van-based mini-MPV ready to become cool? 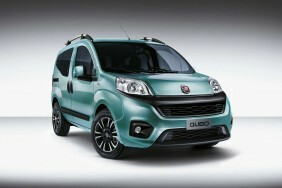 It sounds unlikely but if any vehicle can pull such a thing off, perhaps it's this one, Fiat's Qubo. Not only does it look trendier than a car of this kind has any right to but it's also smaller than you might expect. Compact but versatile little cars based on vans have been around for some time but haven't previously been delivered to us this small. Whereas familiar names in this sector like Citroen's Berlingo Multispace are family hatchback-Focus or Astra-sized, this one is no bigger than a Fiesta supermini yet still offers nearly as much space. It may even be slightly unfair to call it 'van-based'. Yes, you could see it as a Fiat Fiorino van with windows and seats but that vehicle in turn is based on a Fiat Punto supermini. So let's stop trying to label this car and instead see it for what it is. A very compact four-to-five-seater family runabout that's small and nippy enough to twirl you round the tightest underground supermarket carpark, yet large enough to use on the average family holiday - a pretty tough brief to fulfil if you think about it. Fiat has also created a larger Doblo compact MPV for busy families, but if you don't need the greater space or the seven-seat option it provides, then you're probably better off with this one. No doubt about it: functional budget-minded family motoring is best served by one of those van-based mini-MPVs. For many though, something like this is too square and boring to run as an only car. So what if someone made it smaller and cheaper so you could run one as a second or third car alongside something nicer. And what if they made it trendier too? 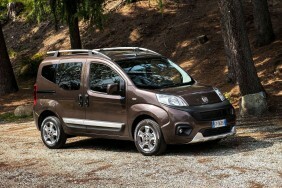 That's what Fiat's improved little Qubo sets out to deliver. You don't tend to approach a drive in any MPV, let alone one related to a van, with much enthusiasm and on paper, such pessimism seems justified here. Hopes of even moderately nippy performance from the Qubo will be immediately dashed as soon as you learn that neither the 80bhp 1.3-litre diesel or the other option, a 77bhp 1.4-litre petrol, can break the 16-second barrier for the 'sprint' from 0-62mph. Get out on the road however, and the story is a little different - at least if you opt for the diesel. With 190Nm of torque, there's plenty of pulling power to waft you about without having to row the car along with the gearlever on the kind of urban trips you're likely to want this Fiat to perform. Quite simply, it's as fast as it needs to be. If you do want to go faster, there's a 95bhp diesel variant at the top of the range. True, there's a distinctly van-like driving position - but that also means you sit quite high and get a good view of the road. You feel comfortable too thanks to a wheel that adjusts in and out as well as up and down, plus a height-adjustable seat on this plush version. On the move, the unyielding van suspension has been softened for passenger use, though not enough to exacerbate the kind of bodyroll that all high-ish sided cars suffer from to some extent. This one compensates with mild, relaxing road manners, plenty of grip and reasonable refinement. All round visibility is brilliant, so it's easy to park with a tight turning circle and accurate steering. This revised Qubo gets a smarter front grille and a chunkier front bumper. The tailgate is also revised, with the large circular recess giving way to a straight, flat panel with a more elegant location for the FIAT badge. Inside, there's a new steering wheel design, smarter instruments, nicer seat upholstery and fresh infotainment options. Otherwise, things are much as before. You wouldn't be embarrassed to drop the kids off in one of these, though your offspring might be irritated to find that they can't fully open the rear windows. At under four meters from nose to tail, this Fiat may be no bigger than a Fiesta supermini but there's lots of space inside. More headroom, for example, than you could possibly find a use for, plus legroom is ample for four adult-sized passengers. There are a reasonable number of internal storage areas, including a large glovebox, and the hose-clean flooring is sensible on a car like this. Access to the rear is helped by the wide-opening sliding doors on each side of the car and in contrast to many of today's compact supermini-based MPV offerings, the large, square boot is very generous at 650 litres with all the seats in place - or 330-litres under the sturdy parcelshelf. That's the kind of space you'd expect from something much larger. The rear seats split-fold down 60:40 but if you want to get maximum cargo on board, you'll need to remove them completely. This procedure converts the Qubo back into something approaching van form with a huge 2,500-litre capacity, accessible via a low, flat loading lip and full-width tailgate. As an alternative to this, an optional pair of vertically-split, side-opening back doors might better suit those looking for, say, a wheelchair conversion. For the transport of big, long items like, say, an adult bike, the designers have even thought of a front passenger seat that folds into the foot well. Running costs are low, with insurance from group 2 and nearly 70mpg on the combined cycle from the base diesel version, returns that respectively fall to 40.9mpg and 161g/km if you go for the petrol model. Finally, a word about warranties. You get two years of manufacturer cover with this car, plus a further year from the dealer. Plus there's no mileage limitation, which makes this Fiat deal better than the restricted three year/60,000 mile package you get with rival models. There's also a year of roadside assistance cover, a reasonable three year paintwork warranty and an eight-year anti-perforation guarantee.